Kumamoto, Japan, 10 October 2013 - Japan, a country which has come to epitomize mercury poisoning in modern times, today became one of the first countries to sign a historic new international convention to reduce emissions and releases of the toxic metal into air, land and water and to phase out many products that contain mercury. The Minamata Convention on Mercury – a global, legally binding treaty which opened for signature today – was agreed to by governments in January and formally adopted as international law today. But the Minamata that delegates visited yesterday during a special field trip from the main conference venue in nearby Kumamoto City, is a vastly different place to that affected by mercury in the mid-1950s. Since then the city has remodelled itself as an eco-city, receiving international recognition for its wide range of recycling and environmental programmes. “Mercury has some severe effects, both on human health and on the environment. UNEP has been proud to facilitate and support the treaty negotiation over the past four years because almost everyone in the world – be they small-scale gold miners, expectant mothers or waste-handlers in developing countries – will benefit from its provisions,” said Achim Steiner, Executive Director of the United Nations Environment Programme (UNEP) and Under-Secretary General of the United Nations. Global action on mercury was agreed to in a landmark decision at the United Nations Environment Programme’s Governing Council meeting in 2009. Governments unanimously decided to launch negotiations on an international mercury treaty to deal with world-wide emissions and discharges of the pollutant, which threatens the health of millions, from foetuses and babies to small-scale gold miners and their families. Governments successfully completed their negotiations at the fifth session of the intergovernmental negotiating committee to prepare a global legally binding instrument on mercury, held in Geneva from 13 to 18 January 2013. 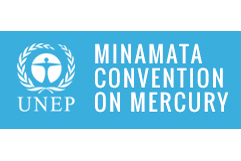 They agreed to the text of the “Minamata Convention on Mercury”, which has now been presented for adoption and opened for signature at the Conference of Plenipotentiaries Diplomatic Conference, taking place at Hotel Nikko in Kumamoto and in Minamata, Japan, from 9 to 11 October 2013. The Diplomatic Conference was preceded by an intergovernmental preparatory meeting on 7 and 8 October 2013 in Kumamoto. For more information about the Diplomatic Conference, please see here. For a list of the countries that have signed the Convention so far, please see (from 10 October) www.mercuryconvention.org. For more information about the effects of mercury, please click here. Nick Nuttall, UNEP Director of Communications and Spokesperson, Tel: +254 733 632 755 or +41 79 596 5737 (Roaming), Email: nick.nuttall@unep.org. Email: tomoko.ishii@unep.org (for information in English or in Japanese). UNEP HQ: Shereen Zorba, Head, UNEP News Desk. Tel. : +254 713 601 259 Email: unepnewsdesk@unep.org. Moira O’Brien-Malone, UNEP Communications, Paris. Tel: +33 1 44 37 76 12 or +33 6 82 26 93 73. Email: moira.obrien-malone@unep.org.